livingwellinnovations has no other items for sale. 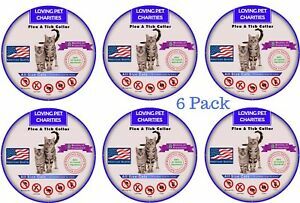 4x Pet Dogs Anti Flea and Tick 6 Months Protection Collar for All Sizes Dogs 25"
Seems to be great product - Fast shipper! Fast shipment! Arrived ahead of schedule! Smells great! Thank you!